21: Blackjack is a downloadable title available for the Nintendo DSi through the DSi Ware store. 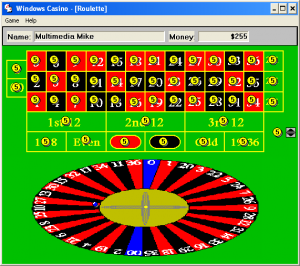 21 is your pretty basic casino Blackjack game, though padded with a depth of options. 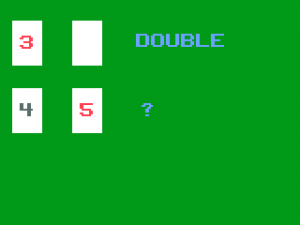 Classic gameplay options exist, such as hitting, standing, or doubling down Players can modify how many decks are used, change payouts, and modify splitting options. It's even optional to have the dealer hit or stand on 17, along with more options. 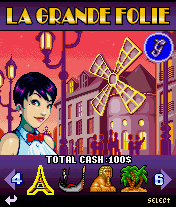 The title also keeps track of various stats from gameplay such as success rate, the number of Blackjacks that the player's had, and more. 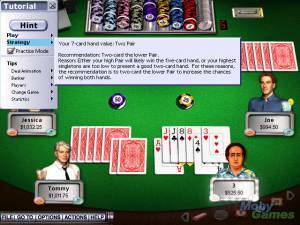 The top screen of the Nintendo DS is the gameplay screen showing the cards and table, while the bottom screen is largely used for stylus/touch controls. The game is for one player.